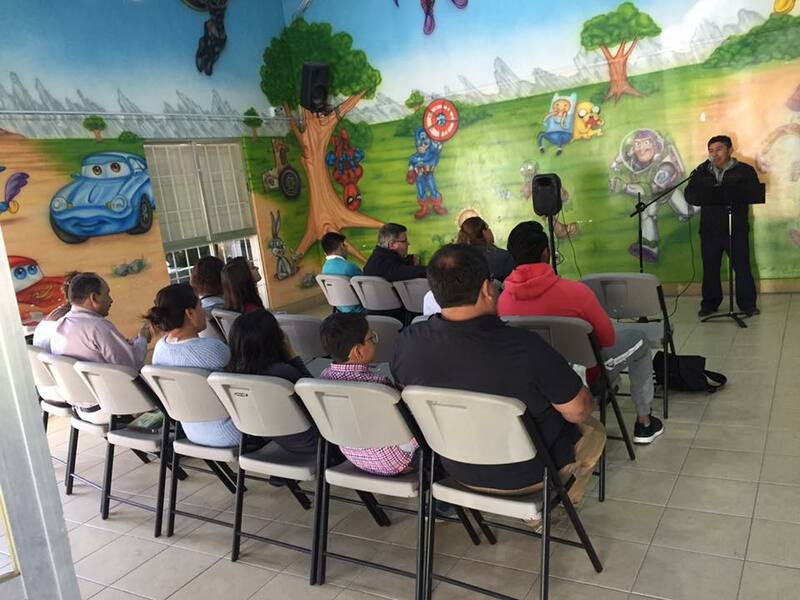 After a wonderful time in PA (coming…a post on pig stomach), we returned to Mexico in time to receive Mike Conteras and Joseph Keith from Youth Missions International. I could have taken several picks of us eating tacos together! 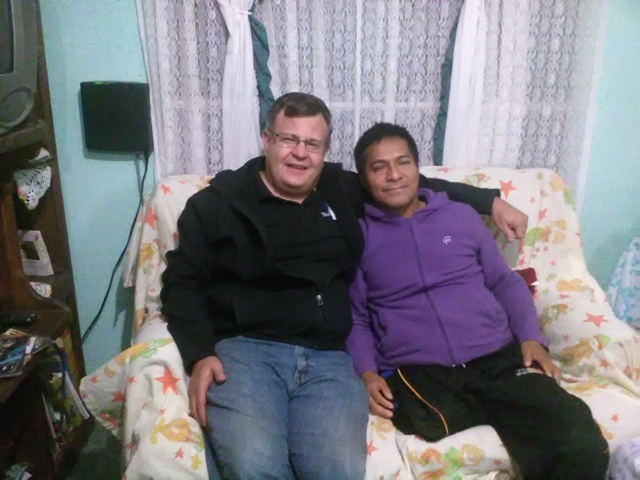 This past weekend, good friend Gaspar Chable visited us for a couple of days. Always great to see him! We went with Jonathan from the JM church to talk about where the next 8-week football league will begin next Saturday. Jonathan and other young men from the churches here received training last February from Mark Palma and Uncharted Waters Sports Ministry. Last year, Jon did three 8-week leagues. A Bible emphasis is integrated into the weekly soccer program. Our son David helps coach also. Thanks for your prayers for Mar cos. Some of you knew that Marcos, who already is missing part of his right leg, had surgery recently to remove three toes from his left foot. 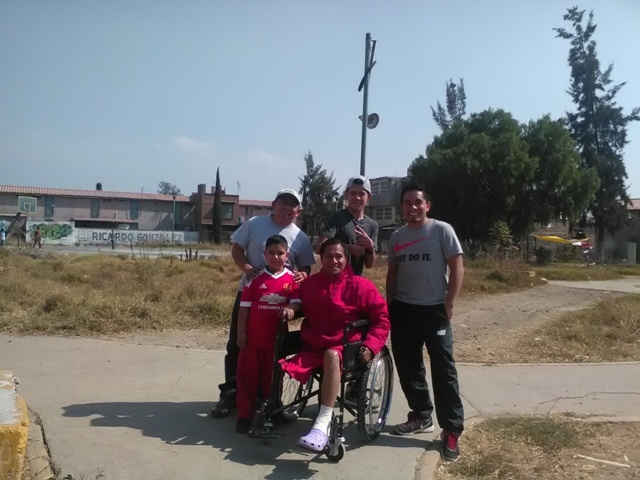 Marcos is diabetic and was concerned he would lose his remaining foot. Please pray for a complete recovery from this latest surgery. Marcos along with his wife America was baptized this past September. They are members of the new Palmas 1 church plant. We’d also appreciate your prayers for Beth Sandoval. We recently rejoined a Camino Global Transformation Team as associate members, and are happy to be part of a team that includes Chalo and Beth. 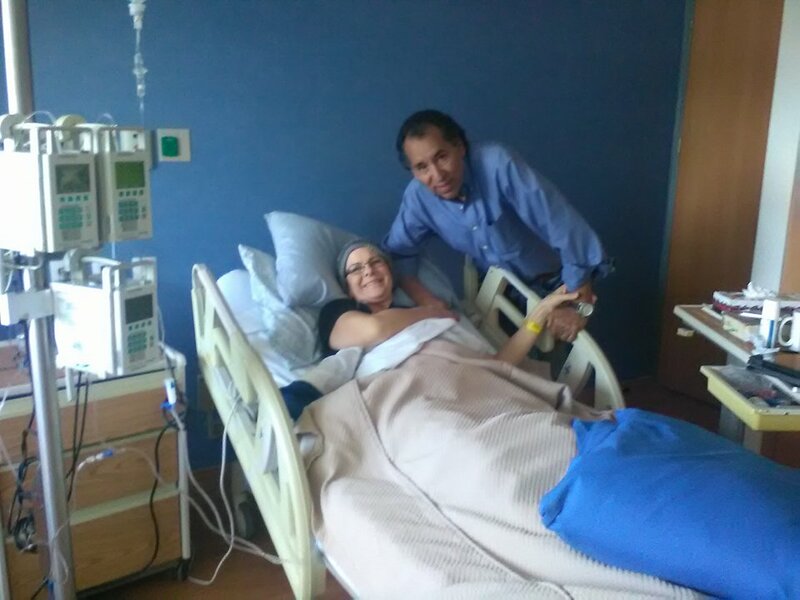 Beth was recently diagnosed with acute leukemia, and is currently undergoing intensive chemotherapy at a hospital in Puebla, Mexico. I was able to visit Chalo and Beth a few days ago, and had a great conversation with them. Beth was allowed to go home, but now is back in the hospital with some unexpected intestinal complications. Please pray for this family, as they have ministered faithfully for many years here in Mexico, and planted something like seven churches. 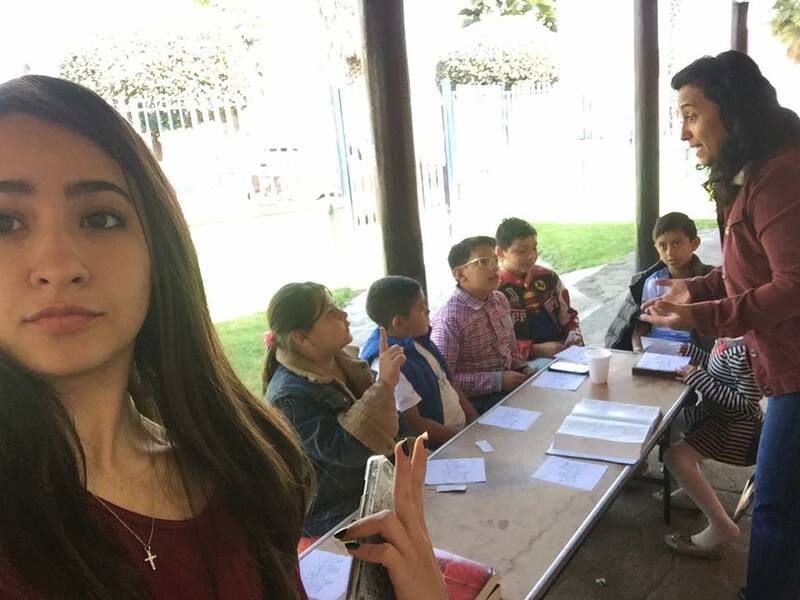 Ok, if you’re still reading this (sorry it’s so long), we would also appreciate your prayers for English classes begining this week every Tuesday and Thursday at 1 p.m. and 8 p.m., in the same building where our church meets. The idea is to have an hour of English class right when the high school right next door ends their day. There our two shifts here…one ends at 1 p.m. and the other at 8. The picture in the header is of a sun dial on top of one of the many water towers in several neighborhoods in Ixtapaluca. 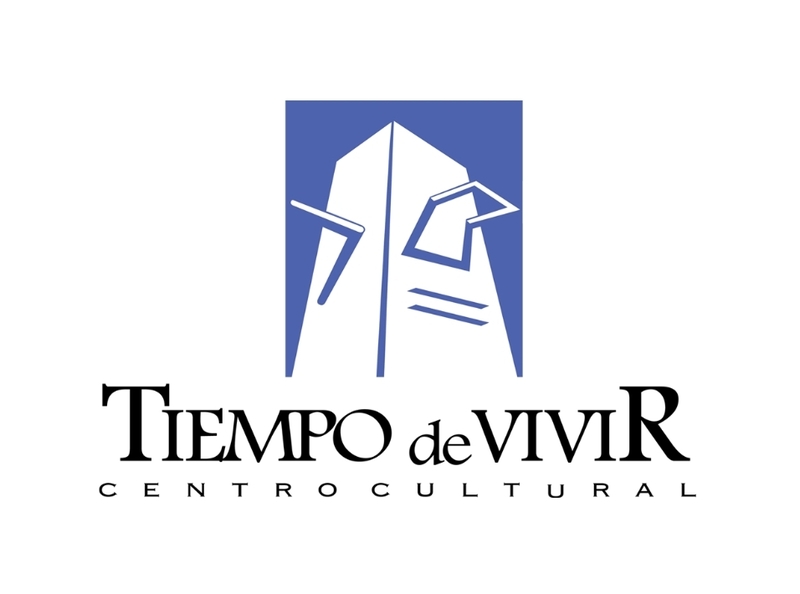 Our community center logo reflects these towers. Always great to hear what God is doing in and through you! So glad you can be a part of a T2. ¡Abrazos y adelante!